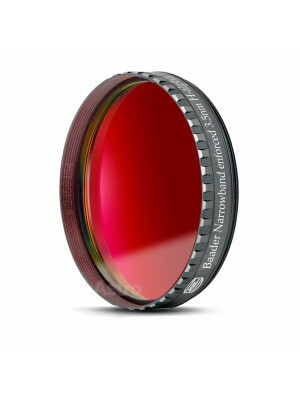 Without modern RGB-filters, the CCD-revolution in astronomy would never have happened. 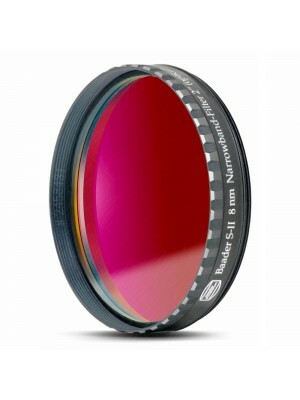 In fact the Baader LRGB filter set lets you get beautiful color pictures with monochromatic CCD camera. Baader LRGB filter set has very steep slopes on RGB filter curves for each colour channel, for maximum energy collection efficiency, while maintaining maximum contrast between the individual object spectral emission lines. Peak transmission of Baader RGB filters are extremely high but at the same time encased tightly within each of the three colour channels - with a very important and deliberate overlap between the B and G spectral region and a calculated wide gap between G and R to exclude a whole family of undesirable terrestrial street light emission lines (just like a UHC nebula filter). 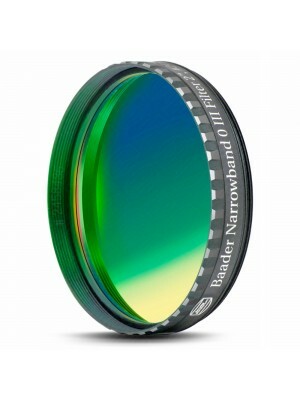 Thus colour balance and colour rendition of Baader RGB filters are outstanding, while stray light and reflections are simultaneously reduced to an unprecedented level. Within the spectral region around 580 nm there is no significant celestial emission line, however a whole family of street lights (mostly Mercury and Sodium vapour lamps) emit their devastating energy within that region. Exactly this spectral area is almost completely suppressed by the Baader RGB filter design. In this way Baader RGB filters play a major roll in eliminating light pollution when imaging from flawed, light polluted sites.